Whether visiting from overseas or interstate, delegates and guests are invited to discover the City of Melbourne and its surrounds. The Conference Secretariat has negotiated a special conference discount on all Melbourne tours available through the link below. These tours are operated by Gray Line, providing the flexibility to select your preferred tour options and travel dates, including prior to and after the conference. For more information, or to make a booking and take advantage of the conference discount, please click the link below and select ‘Melbourne’. The conference discount will be applied on the payment page. Please find below some suggested touring options available through Gray Line. Tour the highlights of Melbourne from its gardens to famous arcades and laneways, cultural icons and Melburnian lifestyle. City fringe inner suburbs offer a treasure trove of vintage finds, boutiques and eclectic eateries - a great introduction to this beautiful city. 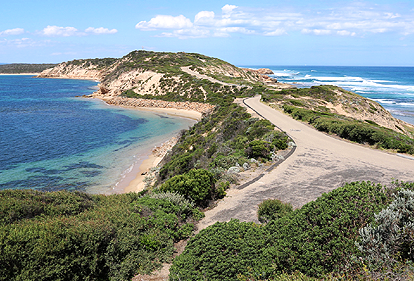 An amazing coastline to travel and stunningly breathtaking, the Great Ocean Road is a photographer's delight and consistently features in the Top 10 of the world's greatest scenic coastal drives. Your tour along the iconic Great Ocean Road takes in spectacular coastal views of long sandy beaches, rolling surf, precipitous coastal cliffs and river inlets. Every evening at dusk the Little Penguins come home from the sea at Phillip Island. Watch from an elevated boardwalk as they waddle cautiously from the beach to their burrows after a long day out at sea. Phillip Island is a treasure trove of Australian wildlife; seals, koalas, kangaroos, wallabies, birdlife and penguins – the ultimate experience for those interested in Australian animals and amazing landscapes. Sample some of the best wine and food the state of Victoria has to offer whilst traveling through the serene forest of the Blue Dandenong Ranges and the Yarra Valley, one of Australia's most picturesque wine regions. Many other Melbourne and surrounds tours are also available to book using the link above. Tours are offered by independent operators who do not have any connection with the Conference or the Conference Organisers. This information is provided to delegates on a general basis and it is the delegate’s responsibility to research, make a booking and pay for the service provided directly with the supplier. Please ensure you read the terms and conditions on the tour operator’s website before proceeding with payment. Any issues relating to tour bookings are at the expense of the delegate and not the responsibility of the Conference or the Conference Organisers.